The BDFM subway entrance on the northwest corner of 40th Street and Sixth Avenue is one we've been working to improve for some time. We last wrote in March about our efforts to improve the subway entrance appearance, which is dark and drab. We found a short-term solution in brightly colored graphics that were used to promote our free, open to the public events, like #BPSquareDance and Bank of America Winter Village. The second phase of brightening the subway entrance has just finished. We installed a television monitor that will serve as a rotating carousel of park events, and give real-time information on time and weather. Best yet, the monitor will add more light to a dim entrance, making the stairs safer and more pleasant. Our Capital Department works to install the monitor. 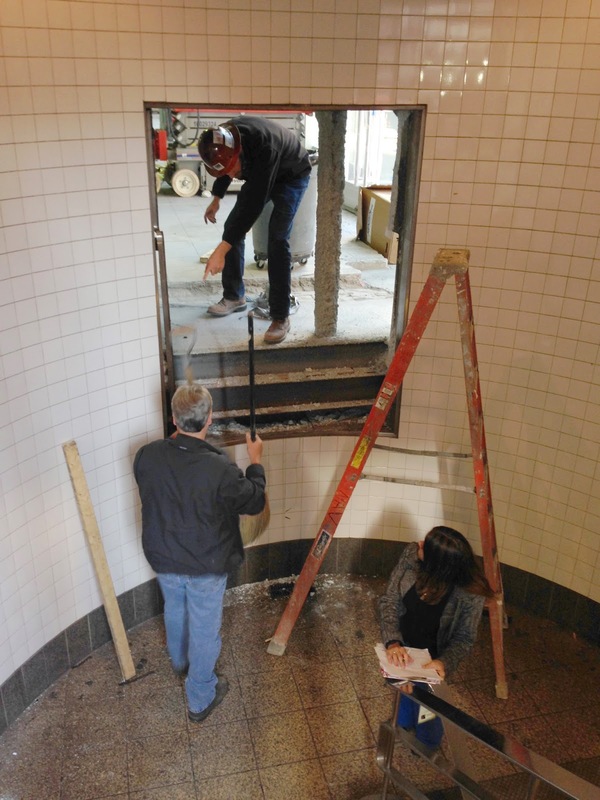 The open space where the man is crouching is the ground floor of 5 Bryant Park; the Capital Department went through the wall in the vacant retail space to reach the subway entrance. The monitor greets those ascending and descending the stairs. 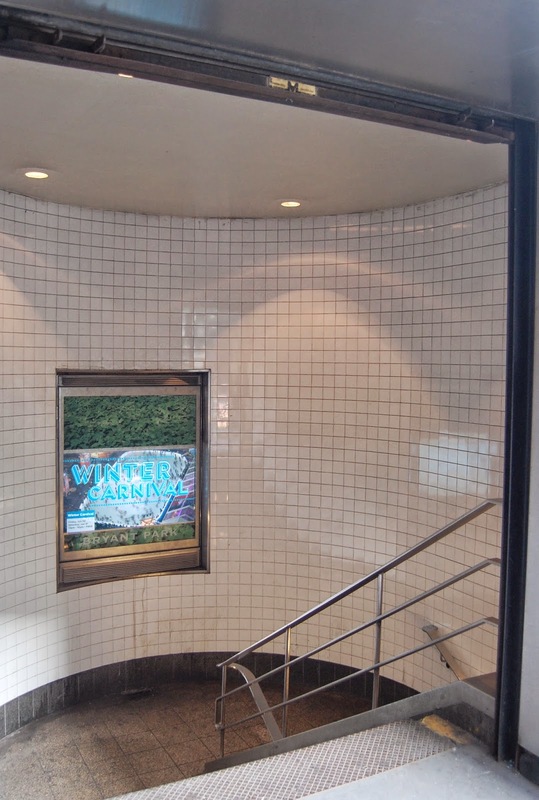 With the Bryant Park text prominently displayed at the bottom of the monitor, there is no mistaking where you are! 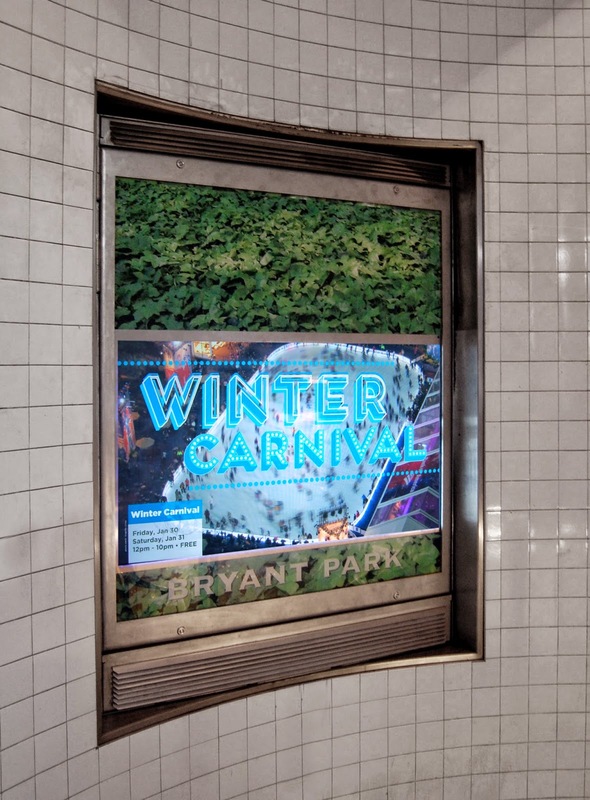 Aside from showing beautiful Bryant Park photos, the monitor will soon give real-time information on weather and time, and offer information about upcoming park events.